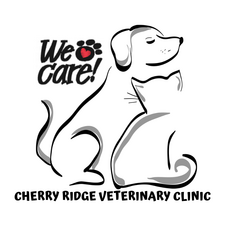 Your canine has tested positive for heartworm disease, which means that there are adult heartworms in the right side of the heart and main pulmonary artery (main blood vessel from the heart to the lungs). There are also immature heartworms (microfilaria or larvae​) in the peripheral bloodstream and migrating through the tissues​. The presence of the adult heartworms in your canine’s heart interferes with the normal flow of blood and forces the heart to work harder to move blood throughout the body. This can ultimately lead to congestive heart failure and death. The severity of heartworm disease is dependent on the number of adult heartworms in the heart and the length of time they have been there. Clinical signs include: Weakness, Collapse, Lethargy, Decreased Appetite, Weight Loss, and Respiratory Difficulty. In general, canines showing few or no clinical signs are likely to be better candidates for heartworm treatment. The complete heartworm treatment is an adulticide and microfilaricide, which means that it will eliminate both the adult heartworms in the heart and the larvae heartworms in the bloodstream and tissues. In order to administer the treatment, your canine must be verified as Occult Heartworm Positive. If your dog has been diagnosed with heartworms at another clinic you must provide copies of previous records and results or submit to a new Occult Heartworm Test. Also your canine must go through the screening evaluation (covered below). Step 1) Screening Evaluation: This consists of a complete exam, chest x-rays, and bloodwork. This combination of tests determines if your canine is a candidate for treatment and allows for a more accurate prognosis. This also assists the doctor in determining what complications may be expected. Complete Physical Exam: Allows the doctor to evaluate the overall health and condition of your canine and may indicate additional diagnostics, medications, or dietary changes to be considered prior to or during treatment. Thoracic Radiographs (chest x-rays): X-rays are used to evaluate the size and shape of the heart. This allows the doctor to establish the extent of any damage to the heart, such as evidence of congestion, pulmonary edema (fluid in the lungs), or pneumonia. Bloodwork: Allows the doctor to evaluate internal organ functions (especially liver and kidney function), hydration, and red blood cell count. Immiticide/ Complete Adulticide Treatment- Hospital stay - stay of 2 days/receive 2 injections 24 hours apart. It is very important for your canine to stay calm in order to keep your canine’s blood pressure regular to reduce the risk of Pulmonary Thromboembolism. All heartworm positive canines are at risk for embolism formation, the risk increases immediately following adulticide treatment. A severe thromboembolic crisis can result in death of the patient. A mild crisis often responds to symptomatic treatment with fluids and anti-inflammatory medication. -MONITOR FOR COUGHING AND RESPIRATORY DISTRESS. NOTIFY THE DOCTOR OF ANY PROBLEM IMMEDIATELY. -MONITOR: APPETITE, RESPIRATION, SORENESS IN LUMBAR MUSCLE (lower back). *Some medications initiated before or during treatment may need to be continued indefinitely (depending on the damage the heartworms have caused). 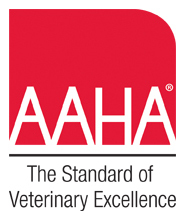 *You must continue monthly heartworm preventative and be tested yearly to prevent reinfection.